Summer conjures up many things for different people. Lazy days. Cool beer. Hot sun. For petrolheads it means something different again. Yes all of the above. But more importantly the certainty that the motor racing season is well and truly underway and full of possibilities. 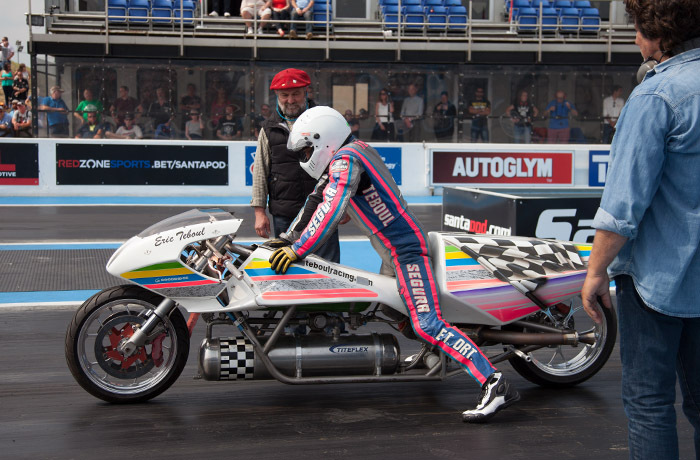 None more so than in the world of drag racing. 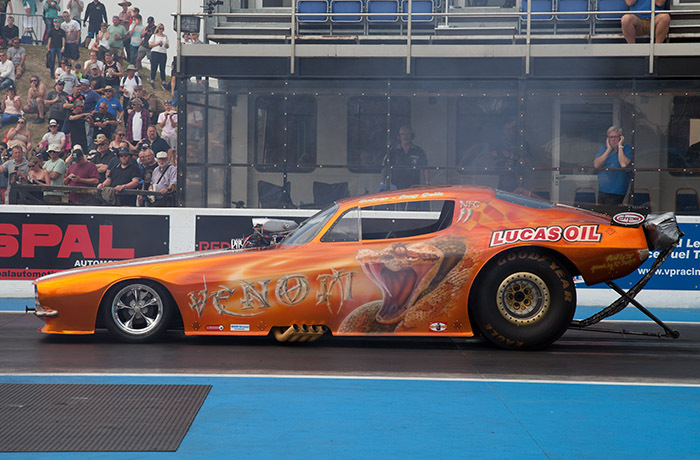 You see unlike most other forms of motorsport, drag racing is highly weather dependent. Slicks or nothing is the name of the game. So rain is never welcome because it will most definitely stop play. So it has been this year. A shaky start to the season weather-wise has left many teams uncertain as to whether the developments worked on in the dark hours of winter will prove worthwhile. A hundreth here. A tenth there. In a sport where fractions rule, every little bit helps. And some. 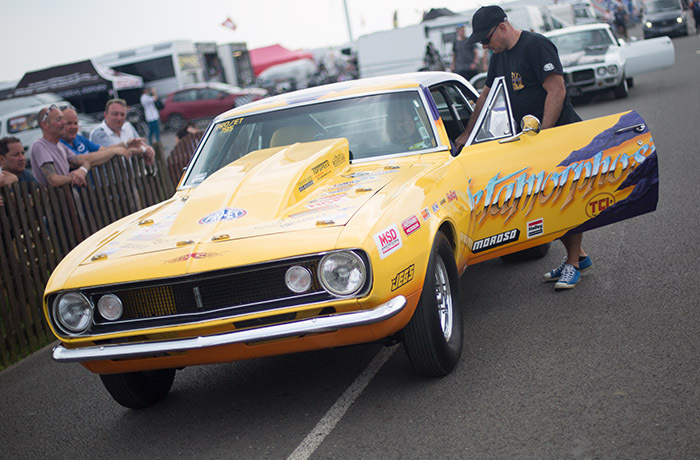 So after the first major meeting of the season was interrupted by inclement weather, teams and fans gathered with anticipation as the sun shone at Santa Pod Raceway. 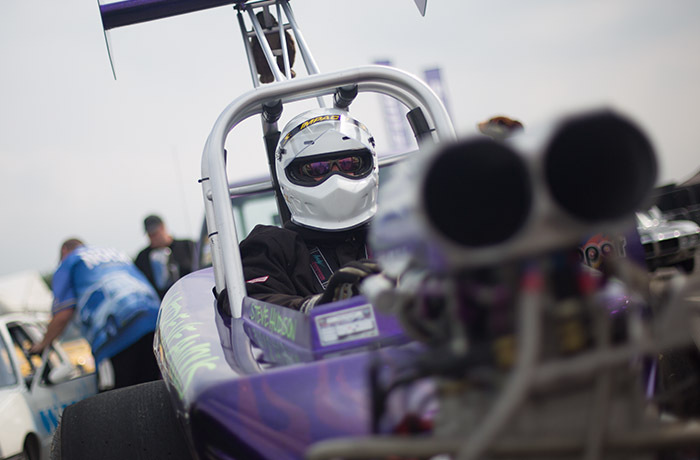 The new concrete surface of the drag strip had barely been tested the last time out at the Festival of Power in late March, so the Main Event at the end of May was to be its first true baptism of fire (in more ways than one as it turned out). Check out the video and you’ll see what we mean. 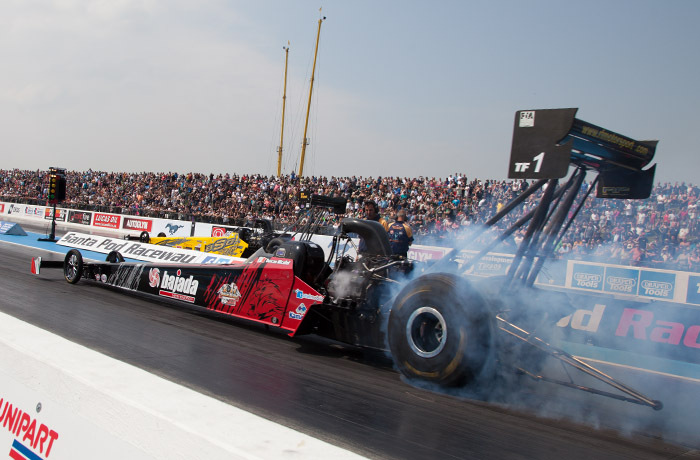 Once again the ground shook to the pounding of more power than a Formula One grid, condensed into two mighty Top Fuel dragsters. Eyes watered as the intoxicating fumes of Nitromethane filled the air. Eardrums rattled as untold decibels tore the air apart and drilled down into part of your body you didn’t realise existed. 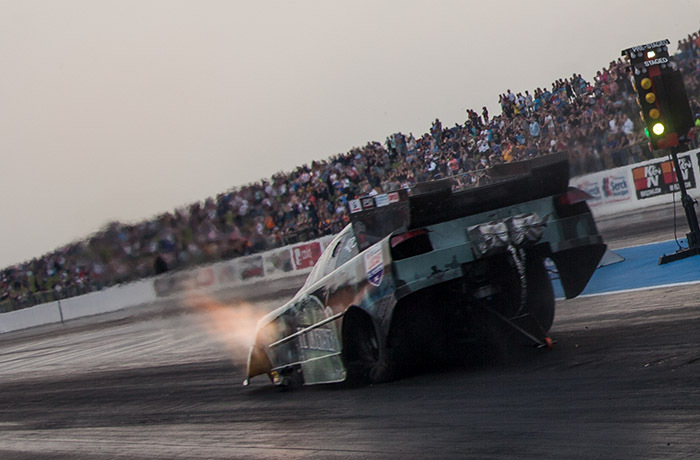 Drag racing really is the most visceral sport on earth. Seeing and hearing first hand are the only way you can truly appreciate the spectacle. And they did. Fans filled the stands and bank to marvel at the madness that comes from ingesting all of the above. Add to that jet cars belching 30 foot flames and a mad Frenchman who willingly climbs on board a rocket powered two wheeler and you can see why it makes for an intoxicating mix. Over the course of a hot weekend a ballet unfolded as competitors on two wheels and four careered their way down the quarter mile in search of elusive fractions of a second. Fractions that define the difference between failure and success. Markers were thrown done as to the potential yet to be realised. Some nailed their colours more clearly to the mast. Definite statements of intent for the season to come.